When interest rates are low and inflation is high, becoming wealthy by investing in certificates of deposit (CDs) can take a while. However, the chief advantage of this method of investment is that it's almost risk-free and foolproof. While investing in riskier assets requires substantial amounts of research and the development of trading skills, with CDs, you can set up your investments in a ladder structure (explained below) and then forget about them. CDs earn a higher rate of interest relative to savings accounts while the FDIC still insures them against losses. 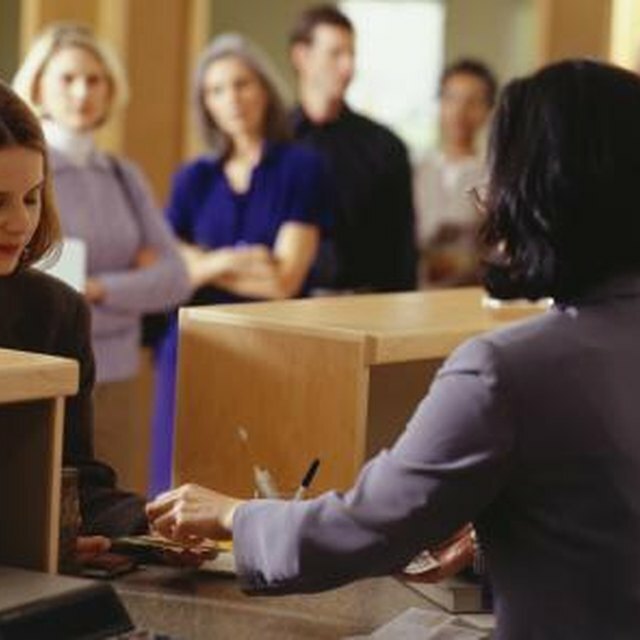 Compare the rates of return on certificates of deposit offered by different banking institutions. Popular aggregation websites for banks like Bankrate (Resources 1) and Bankaholic (Resources 2) list the interest rates offered for CDs of differing denominations and maturity dates. CDs only pay out once the maturity date expires. If you want to redeem your CD before the maturity, you will have to pay a penalty. Select the CD with the best interest rate on offer with a bank that you are confident meets your customer service needs. A common strategy for maximizing your CD returns while maintaining the liquidity of your assets (your ability to gain access to your money on short notice), it's wise to set up a ladder structure. A ladder essentially makes it so that you split up an amount of money into different CDs with maturity dates at a set interval. This makes it so that you can get access to your money while purchasing CDs of longer maturity dates. Purchase CDs either online or at a bank storefront to set them up in a ladder structure. You can make the interval whatever you feel is necessary. If you need access to your money on short notice, you could, for example, set up a CD ladder with five components at three-month intervals. If immediate access is unimportant, you could set one up with one year intervals. For example, you could purchase five CDs with three, six, nine, 12, and 15 month maturities, each in equal amounts. As each CD matures, you can then roll it in to a longer-dated CD while still maintaining easy access to your money. Where Can I Get the Highest Interest on My Money? Maintain your CD investments while avoiding the temptation to use the funds for consumption or to purchase riskier assets. Where many people go wrong in terms of money management is by having too much confidence while speculating. At the very least, when you invest in CDs, you maintain your assets. Investing in stocks, real estate, or bonds can leave you with depleted funds after a market crash. The worst that can happen with CDs are slight losses due to inflation, but you will at least have more money in nominal terms. Be sure to stay organized so you know when your CDs mature. Some banks will automatically roll over your CDs to a security of the same maturity date. If you're using a ladder strategy, that would put a gap in your intervals. Invest in domestic CDs rather than international ones if you're looking to protect your assets. Foreign CDs aren't always insured in case of bank failure.